Mutual funds come in a variety of shapes and sizes. There are mutual funds to invest in almost any type of business or proclivity that you can imagine. There are mutual funds that are targeted to certain subsections of the population, ethnic backgrounds, club affiliates, or ethical beliefs. For example, there are mutual funds marketed especially for Lutherans and others that promote a socially conscience philosophy by not investing in business that earn money from vices. It is important to understand the many types of classifications of mutual funds in order to ensure that you are properly diversified. Bond Funds. 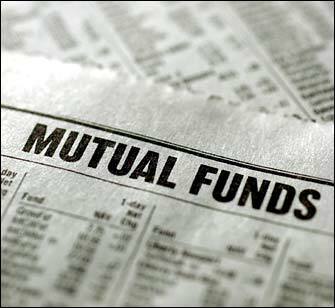 Bond mutual funds are pooled amounts of money that invested in bonds. The pooled money concept is where mutual funds derive their name. They are one fund or investment for the mutual benefit of a lot of investors. Bonds are debt that is issued by companies or governments. A purchaser of a bond is lending his or her money to the bond issuer with the promise to pay the lender regular interest payments until the principle is returned. Equity Funds (also called Stock Funds). Stock mutual funds are another pool of investment dollars from many investors, sometimes millions of investors. The stock mutual fund company represents the shareholders who are in turn part owners in the underlying corporations. Stocks are often categorized by their capitalization (which is also called market cap) and usually come in three sizes: small, medium, and large. Hence the names that you hear a lot when referring to companies and their common shares of stock, Large Cap, Small Cap, Mid Cap, etc. Mutual funds are also categorized by the type of stock that it owns such as growth, value, or a blend of the two. Balanced Funds. Balanced funds are a combination of stocks and bonds. A typical balanced fund may contain a 50-50% split between stocks and bonds. Target Dated Funds. Target dated funds are specific retirement mutual funds that have an objective of keeping the investor’s money safe with a specific retirement year in mind. As the date of the investor’s retirement draws closer, the fund automatically rebalances the underlying securities into less risky investments, usually by purchasing bonds and selling stocks. International Funds. International mutual funds invest in companies that are based outside of the United States (for American investors of course). Today, there is a push to branch out from the name international and have a more “global” reach. International mutual funds generally invest only in foreign companies, while global funds may invest in some American based companies that have a global reach like huge multinational corporations such as Coca-Cola or IBM. Many of international mutual funds extending their reach further into BRIC countries (Brazil, Russia, India, and China) or emerging markets. Now, a global designation of the mutual fund may allow the fund managers to stretch your investing dollar even further into ultra-small emerging markets in far flung countries like the Eastern Europe / Former Soviet bloc, etc. Be sure to reach the mutual fund’s prospectus so you know exactly how much of a percentage the fund manager can invest in all these types of companies based on the fund’s stated investing strategy. Sector Funds. Sector mutual funds invest in one particular segment of the overall economy such as technology, finance, consumer staples, etc. Sector mutual funds can be extremely volatile because the broad market will find certain sectors that will inevitably be very attractive to investors and others that will not. The television pundit, Jim Cramer, likes to always say that there is always a bull market somewhere because there always seems to be at least one sector of the economy that is hot and doing well. Sector funds do not offer much diversification and can tank when your particular sector is out of favor such as technology stocks in 2000. Index Funds. An index mutual fund owns some portion of an entire stock market. An index fund matches the shareholdings of its target index, such as the Standard & Poor’s 500 (S&P 500). Index funds do not involve any stock picking by professionals like active funds do. Because of their automatic following of a specific market, they typically also have very low expense ratios. Understanding the different characteristics and classifications of mutual funds is extremely important for your diversification. There are great roles for many of these types of mutual funds in almost every investment portfolio.